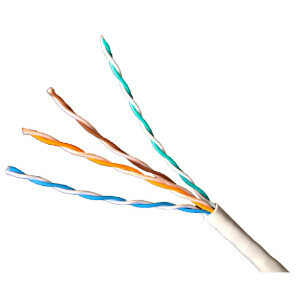 Articles / CAT5e (aka network, utp) cable or RG59 plus power (aka shotgun, coaxial) cable? It is important to consider the type of cable to use before installing cctv. why? We will try to cover this in this article. The popular choices are cat5e/rj45 (aka network) cable and rg59 plus power (aka shotgun coaxial and power) cable. So which one is the right one to use? This is a much debated topic with engineers choosing sides one or the other or both. The answer is, it depends on the circumstances, the environment and the situation of the install. 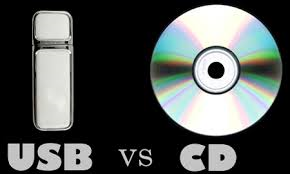 As technology advances, what once was the popular choice is replaced by the lesser popular choice. 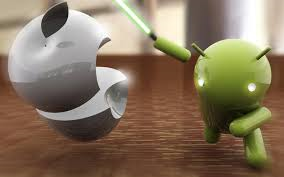 Like touch screen phones with android and ios for iphones and apple devices, they are competing offering a similar platform but in different ways. 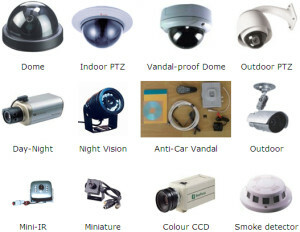 Another example is the different technologies that makeup a cctv camera. Cmos (complimentary metal oxide semiconductor), designed for low resolution images, low power consumption, cheap parts cheap based board meant it is easily manufactured. This was the popular choice up until ccd (charge coupled device) came about. This was a new way to translate the light into electric. CCD cameras were expensive to produce, with certain boards that could be used, designed for high resolution images, consumed 10 times the amount of power as cmos but the overall picture was clearer, which inevitability meant it took control of the market. Later cmos improved its technology and came on par with ccd but most would say it was still a fraction behind. Recently however cmos technology is used to produce ip cameras that offer a better image. Okay i have side tracked here, the point I was trying to make was technology is dependant on its ability to be compatible with other technologies. What is unpopular today may supersede the popular of today if it is improved or other hardware/software/technology is compatible with it and not with the popular. WHAT IS THE SHOTGUN CABLE AND WHAT IS CAT5? The shotgun cable is essentially two cables. In the shotgun cable the main (video) cable has a wire covered in a layer of plastic and then earthing wire covered with a jacket. The second is just two wires one positive one negative for power. The shotgun cable is designed for analogue cctv as one cable is there to carry video and the other carries power. 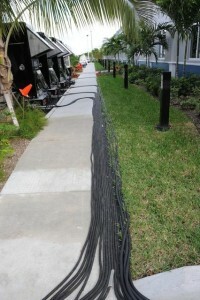 Its main cable that carries the video is protected so it is less likely to have interference. Cat5/cat5e has 8 wires normally twisted into pairs. The cat5 has the advantage by having 8 wires because it can allow cable sharing (although not recommended) and some of the wires can be left as backup to replace any damaged in use wires. 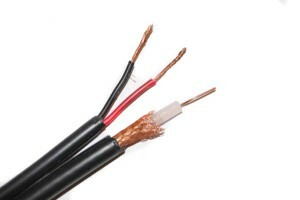 To complicate things further both shotgun and cat5 come in different grades some offering copper core/wires, while others will offer fire/weather/heat proof. The cat5 is normally a white or cream and is less than half the thickness of the normally black shotgun cable. You can get the cat5 in black and the shotgun in white but this is not the norm and the black cat5 in normally external meaning it has an extra jacket but its wires are not copper and are normally thin and feeble. In my experience I started of using shotgun cable but soon found other engineers using cat5 as it was cheaper and allowed longer runs. A shotgun roll normally comes in a 100 meters whereas cat5 305 meters in the roll. I loved using cat5 up until I came across some major interference issues. I will discuss cat5 interference and different types of interference, in another post as its a lengthy topic. For a period of time after this interference hurdle, i only used shotgun cable but now i use both depending on a number of factors. QUESTIONS TO ASK YOURSELF TO HELP YOU DECIDE WHICH ONE IS THE CABLE TO USE. How long is the cable run? Is it important to hide the cable? i.e. If the cable has to run in the house without trunking, then its probably better to use cat5 due to its size and colour. What type of cameras are you installing? i.e. 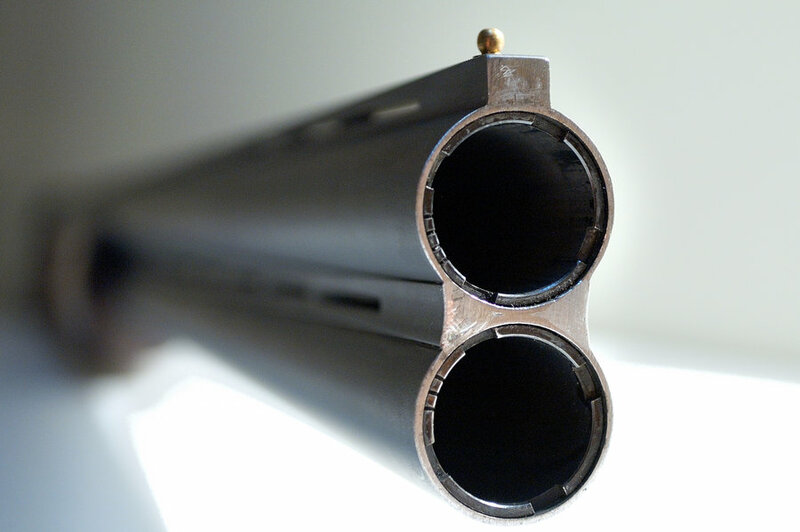 IP cameras require cat5 cable to be run, HD TVI the new HD require shotgun. To side track a little again, HD SDI was the first type of closed circuit HD competing with IP HD. Its problem was it was a technical nightmare as the shotgun come in different grades and HD SDI only worked using copper core good quality shotgun. HD TVI will take any shotgun cable and is hybrid meaning it will take analogue cameras as well. How many cables will meet and route towards the dvr (recording device) i.e. the size of holes made in brick, cable exposure at dvr end etc. 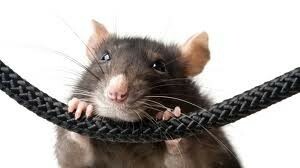 Will the cable feed through cavities where rodents can nibble? Will there be electric cables near or on the route where the cable will run? Is any of the cable going to run outside and if it is going in conduit, how many cables will run through that conduit (only a certain thickness)? Whatever you decide, if you are running cat5 make sure you use good quality video baluns and not the ones that look like power connectors (black sleeve). These are audio baluns but will give you video. They are advertised as video baluns on ebay but be sure you will encounter interference if used on cat5. Keep it safe and use shotgun RG59 plus power.